Picture from csd : The winter ice has yet to fully melt in this pool near the summit. 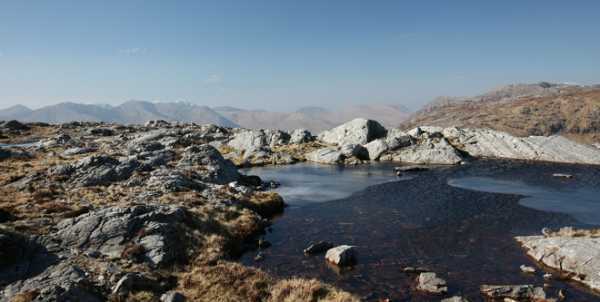 Picture: The winter ice has yet to fully melt in this pool near the summit. Access note: if approaching from the car park to the west (on the Western Way), a sign there appears to forbid dogs. However, at the gate marking the start of the track up to Mam Ean, another sign says dogs are only permitted if on a leash. So I guess it's ok to bring Fido, as long as he's on a lead.